I was privileged to be invited to Sharp Hospice’s Volunteer Dinner Event this past week to provide special music though my musical alter ego. 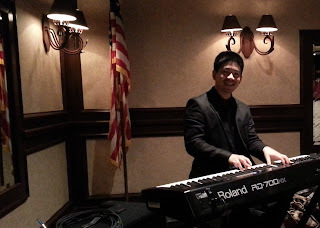 For those of you who may not know, I dabble a bit on the piano, amongst other instruments, and enjoy playing improvisational impromptu, covers of movie themes, Disney, Star Wars, and random pop and classics. Sharp Hospice brings a comprehensive level of care that encompasses a challenging, difficult, and very important aspect of healthcare; hospice aims to bring comfort, compassion, and dignity during end-of-life stages for those whose medical condition has come to a point where they and their loved ones have decided to forgo further curative and/or aggressive medical measures. 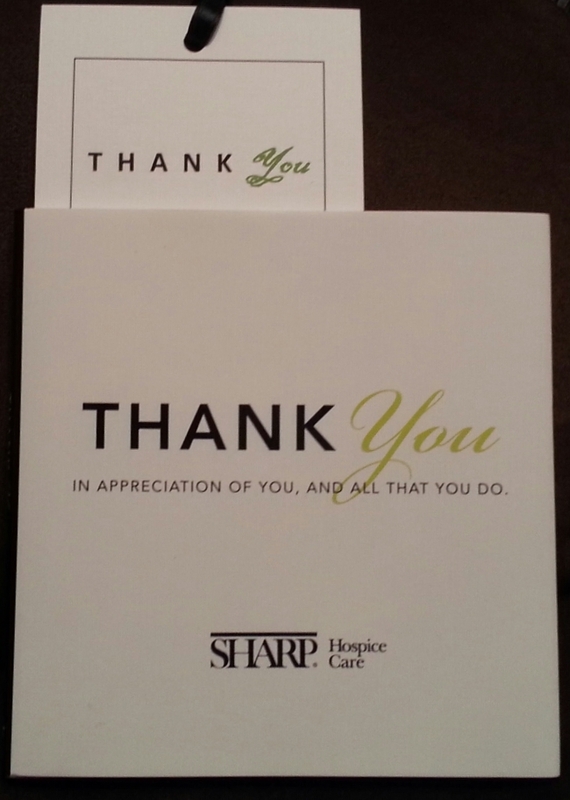 I typically do not have very much contact with the staff from Sharp Hospice during my hospital hours. This is because I generally am consulted for patients who are still seeking care for recovery. However, there have been several times where hospice has asked for my services to help teach patients and family the safest measures of maintaining physical comfort, mobility, and safety at home during these challenging times. Physical Therapy certainly plays a part in the inpatient and home health setting when we come to that fork in the road and we know it’s just not getting any better - it's time to help people live their days in the safest, most comfortable manner in a service which shows them love and meaning. 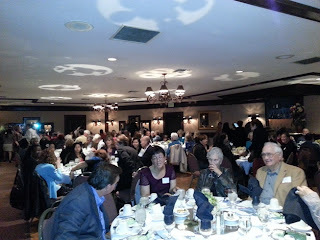 Through the dinner event, I learned a lot about the care provided by Sharp Hospice. I found that it is a very personal, deeply emotional if not spiritually entwined level of care. Sharp Hospice coordinates with hundreds of volunteers who go out to patient homes to provide very necessary, loving care during the end of days. Throughout the special dinner event, celebrating the contributions of the Sharp Hospice volunteers hosted much laughter, fond memories, tears, and a deep conviction from all in the room that the responsibilities of serving in hospice is much more than just a job – it is a calling. Many of Sharp Hospice volunteers engage in a very special activity in making “Memory Bears”. Memory Bears are teddy bears made from the clothing and apparel of the loved ones under Sharp Hospice’s care. These volunteers, quite frequently, will go far out of their way to find more material to better exactly match the original fabric the family and patient gives them for the production of these beloved bears. One of the bears was made from the hat and favorite shirt of a patient. However, the hat only had so much material and the volunteer was having trouble completing the bear. This volunteer went to many fabric stores around town and failed to find an exact match until she went on a personal trip up the coast. During this trip, she walked by a hat store and found an exact match, purchased it for the patient, and completed the very meaningful gift. In summary, the event was amazing; a profound celebration and recognition of a very tightly knit group of volunteers and staff members. Playing piano in an establishment with the deep wood architecture of the 1950’s was also a great pleasure. Oh yes, I was also very happy to see a true, medium-rare steak for dinner (yes, I am a big foodie). Spending your last days with loving volunteers who are willing to give their all for your final moments is job that is compensated by deeper means - rewarded by measure far beyond the value of any financial tender. I want to thank Sharp Hospice, the organizers of the event, and the many volunteers for allowing me the honor of being part of your celebration. This blog gives very large scaled information. 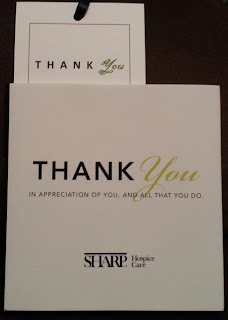 I want to thank Sharp Hospice, the organizers of the event, and the many volunteers for allowing me the honor of being part of your celebration.